What Won Best Picture The Year You Were Born? 43 LISTS The OscarsLists of fun facts and differing opinions about Hollywood's biggest, most self-congratulatory night. Best Movies What Won Best Picture The Year You Were Born? Were you born the same year Meryl Streep cemented her legendary status by winning Best Supporting Actress in Best Picture winner Kramer v. Kramer? Or were you a child of the early '90s and born the same year Hannibal Lector changed the connotation of fava beans and chianti forever? Since 1929, the Oscar of Merit has been doled out to Hollywood's favored golden children. While the inaugural ceremony only lasted 15 minutes and had no more than 270 guests, today's Oscars are broadcast across the globe to over 100 million viewers. The award's significance transcends mere viewership, though. Best Picture winners speak to the culture of an era, be it the post-Vietnam tensions depicted in The Deer Hunter or the suburban cynicism found in American Beauty. Check out these Oscar-winning movies by year and discover what film took home the gold when you entered the world. Perhaps you'll discover you were part of the collective consciousness that brought forth the bittersweet romance of Shakespeare in Love or epic heroism of Gladiator. What better way to discover the zeitgest that informed the very formation of your being than the Oscar-winning movie the year you were born? Life imitates art, after all. In this box office hit, Jack Nicholson plays Randle McMurphy, a criminal who fakes mental illness to avoid prison time and ends up in an oppressive mental institution where he challenges the authority of martinet Nurse Ratched (Louise Fletcher). One Flew Over the Cuckoo's Nest impressively beat out Jaws for Best Picture, winning five Oscars including Best Picture, Best Director, Best Actor, Best Actress, and Best Adapted Screenplay. 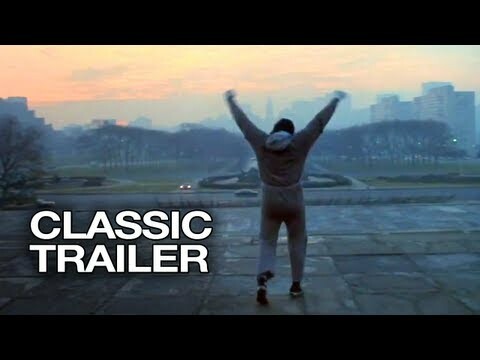 Rocky tells the story of Rocky Balboa (Sylvester Stallone), a small-time boxer who gets the chance to take on heavyweight champion, Apollo Creed. Shot in just 28 days and written by Stallone, Rocky was a sleeper hit, grossing over $100 million nationwide. Rocky took home both Best Director and Best Picture, beating out contenders Taxi Driver and Network. Sylvester Stallone was also nominated by the Academy for Best Actor and Best Original Screenplay. According to Stallone, he was flat broke when he sold the movie. He was so broke, in fact, that he had to sell his dog at a 7-Eleven for 50 bucks. After Stallone sold his script, he tried to buy his dog back, and the man he sold him to demanded $1,500. 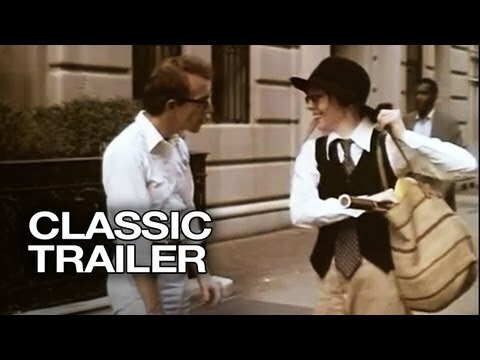 Woody Allen’s romantic comedy tells the story of neurotic New York comic, Alvy Singer, as he processes the ups and downs of his relationship with waspy, aspiring singer Annie Hall (Diane Keaton). Annie Hall swept Best Picture, Best Director, Best Actress, and Best Screenplay and helped launch the careers of Sigourney Weaver, Jeff Goldblum and John Glover. The Deer Hunter is a three-hour epic war film starring Robert De Niro, Christopher Walken, and John Savage. It garnered both praise for its depiction of the inhumanities of war and criticism for certain historical inconsistencies, i.e. the use of Russian roulette during the Vietnam War. The film won five Academy Awards, including Best Picture, Best Director, Best Supporting Actor, and Best Sound.